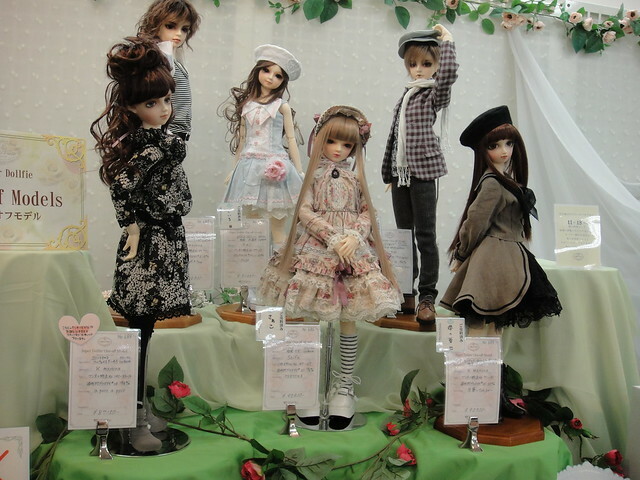 Here are some photos from Mélisande’s day out in Tokyo last month. 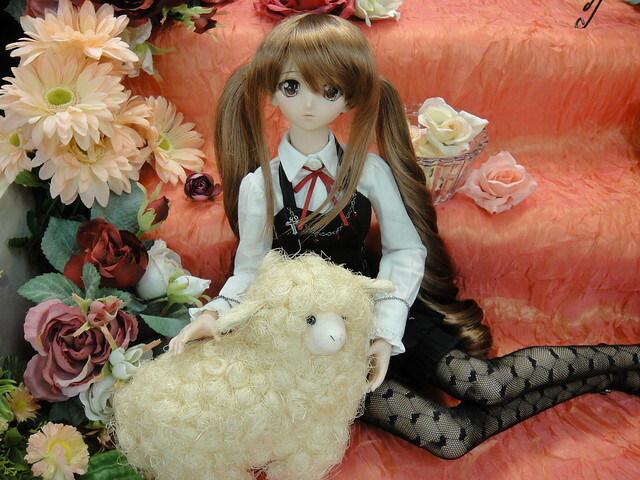 First I took her to the Volks showroom inside the Shinjuku ALTA building and took some pictures in their photo space. Since it was mid-October it was Halloween themed. 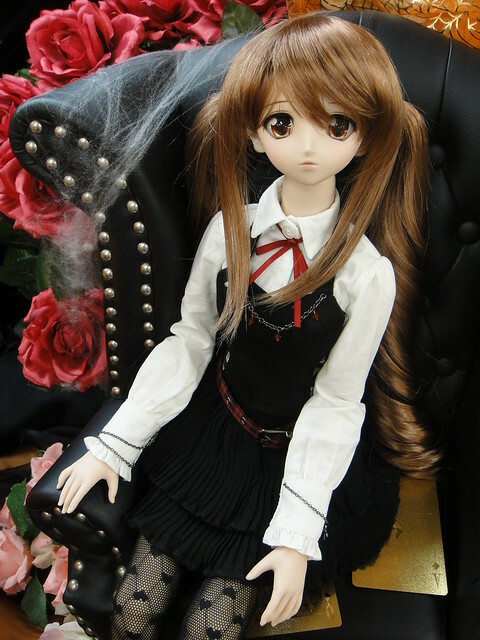 I love this leather chair so much, but Volks doll furniture is expensive! >__<” It also would have been a bit awkward to bring something like this home since I was already pressed for luggage space. 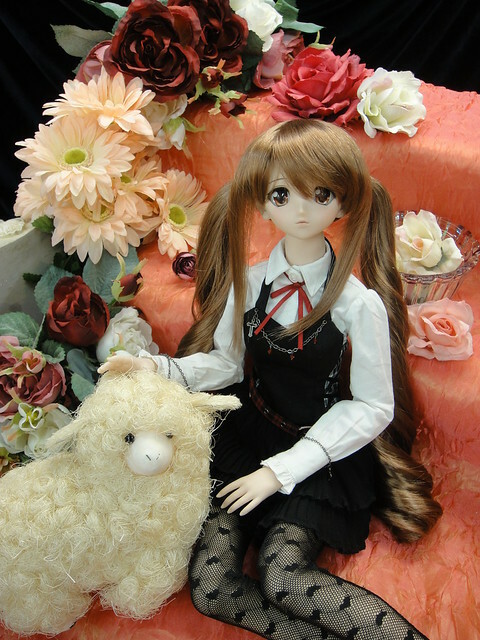 There was also a setup that was more flowery – but it didn’t really work with what Mel was wearing so I only took a couple of photos. The little sheep amused me – hehe! If you’re heading to the Shinjuku ALTA showroom, take Metro exit B13, walk into the ALTA building and take the elevator up to the 6th floor and the showroom will be right outside. There’s always a beautiful display in the window and this was what was set up mid-October. 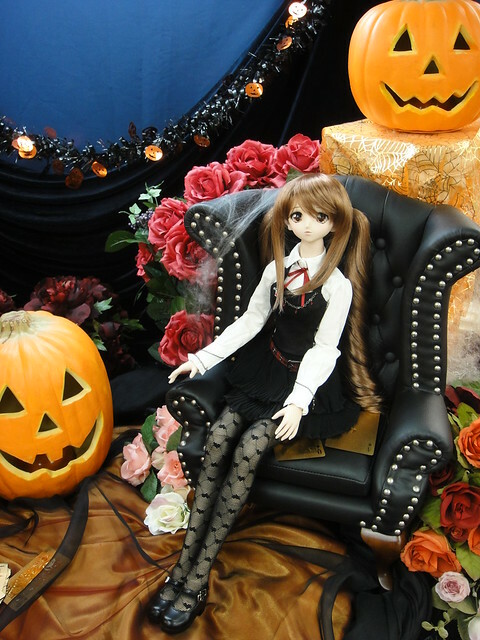 This showroom is much smaller than the ones in Akihabara and Harajuku, but because it’s a little out of the way I was able to find a few things here that were sold out in the other showrooms (like the “Reading in the Sun” set) and there were some accessories like crowns and devil-wings made by doll artists on consignment at the store. However, bear in mind this showroom doesn’t do tax-free shopping for foreign visitors – for that you need to go to Akiba or Harajuku. 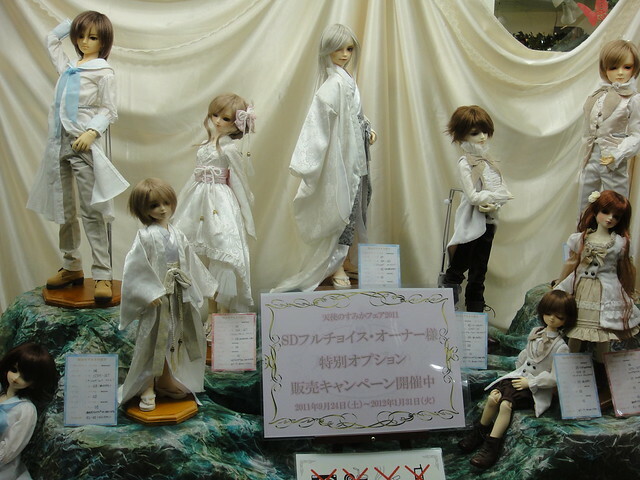 These are some one-off SD dolls that were on display in this showroom. 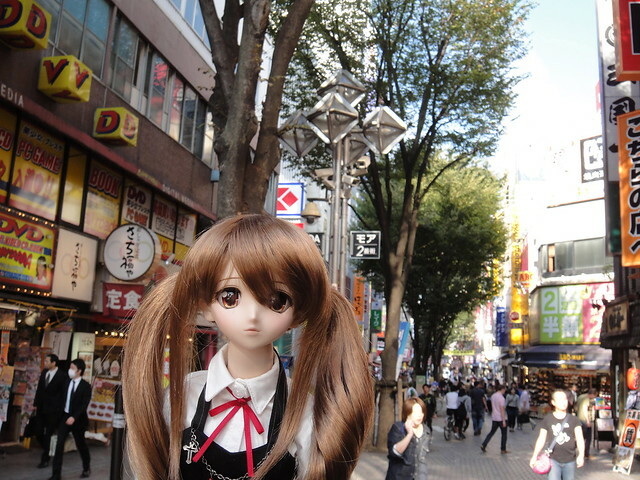 Here’s Mel out and about in Shinjuku – it’s a very busy area with lots of shopping. I recommend checking out the Okadaya department store, just a street over from the ALTA building, because they have lots of fabric, trims and other accessories that might be useful for doll owners. 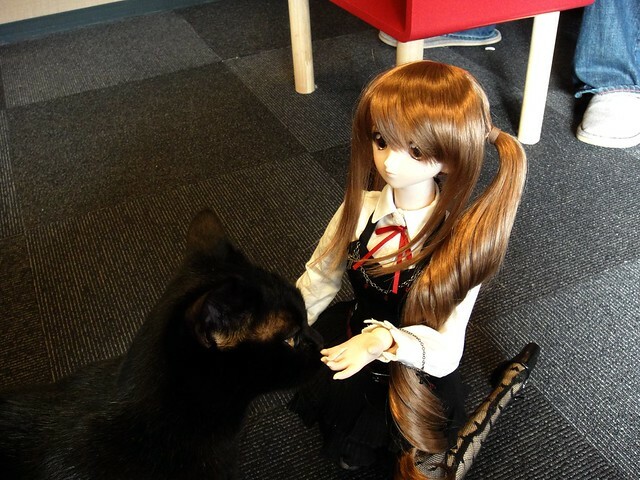 Mel took a seat on one of the little tables and immediately got some attention from some curious kitties! This guy really wasn’t shy about saying hi to Mel. 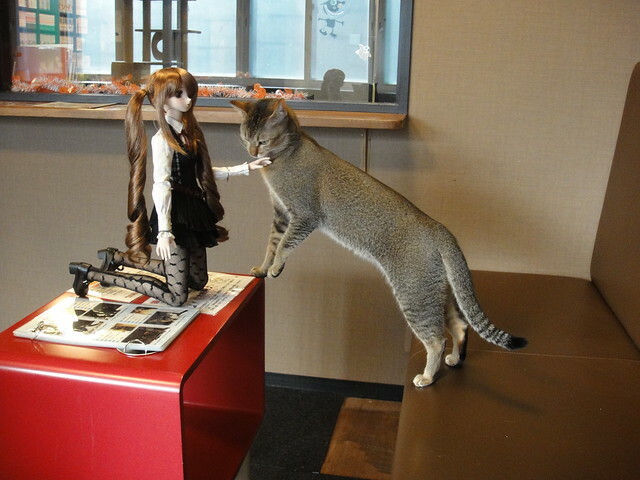 You’re allowed to pet the cats, play with them and feed them shredded chicken snacks that you buy for 300 yen from the café, but picking up the cats is not allowed, and you shouldn’t disturb sleeping kitties. 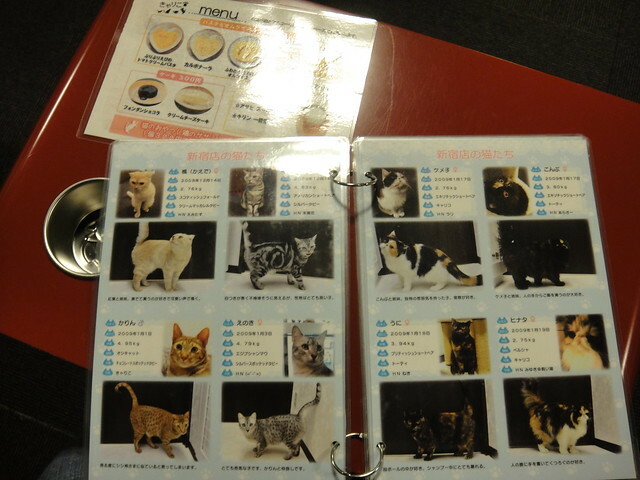 If you’re ever in Shinjuku and have an hour to kill, I highly recommend checking out the Café Calico. It’s such an amusing way to relax after doing lots of shopping! 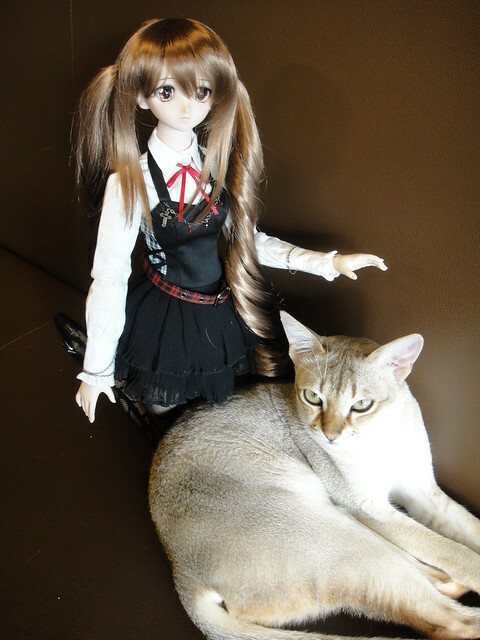 This entry was posted in Dollfie Dream and tagged cat, shinjuku, Volks, Yukino by archangeli. Bookmark the permalink.